Most modern day vehicles are now fitted with air conditioning as standard. Some customers are unaware that this system requires periodic maintenance. Customers are also unaware that air-conditioning systems need to be used for short periods in the winter. This can be done even in the hot position and is extremely effective for demisting windscreens in the winter. Moving parts inside the air-conditioning system require oil to lubricate them and failure to activate the system periodically can cause seizure of components. Part of our air-conditioning service is not only to renew the gas in the system but also to renew the oil and also add a dye, which is used under ultra violet light to pin point any gas leaks in your cars air conditioning system. 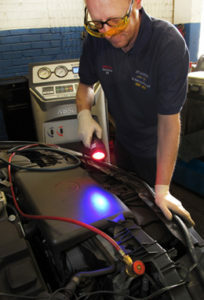 From 4th July 2010 anyone working on air-conditioning on any motor vehicle must have attended a course in automotive refrigerant handling and received a valid certificate. Any one carrying out work on cars without the appropriate accreditation will be doing so illegally. 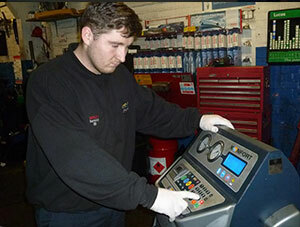 JTT Autotech obtained its accreditation in May 2010. Preferred Time Morning Afternoon Either, I don't mind.